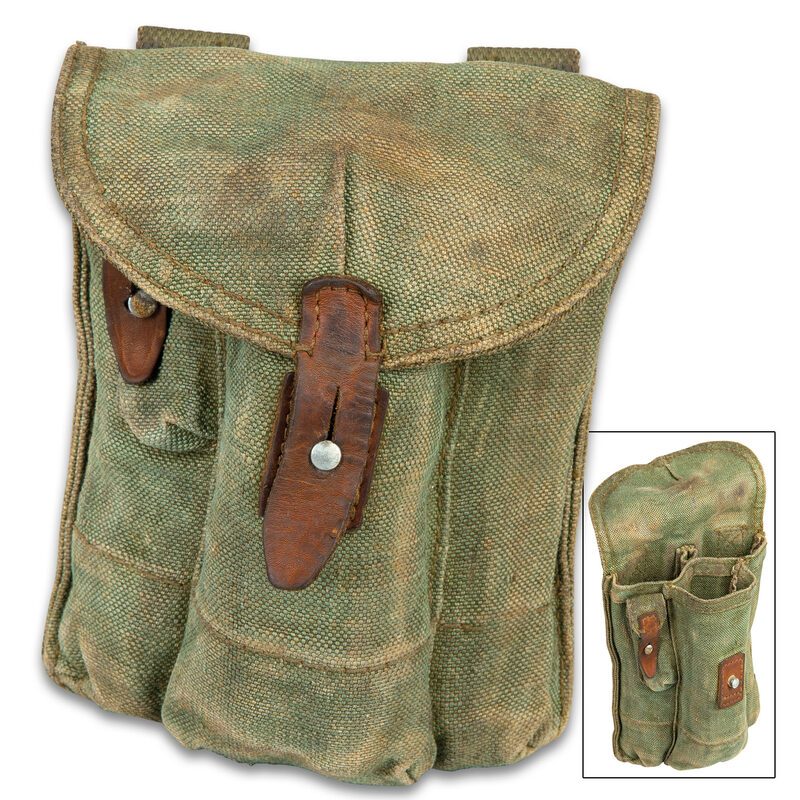 Three Pocket AK Rifle Magazine Pouch - Used, Military Surplus, Tough Canvas Construction, Nylon Webbing Belt Loops - Dimensions 9 1/4”x 7 1/4” | BUDK.com - Knives & Swords At The Lowest Prices! We are always getting incredibly useful vintage military surplus gear that is still relevant for today’s needs or to repurpose for other uses. 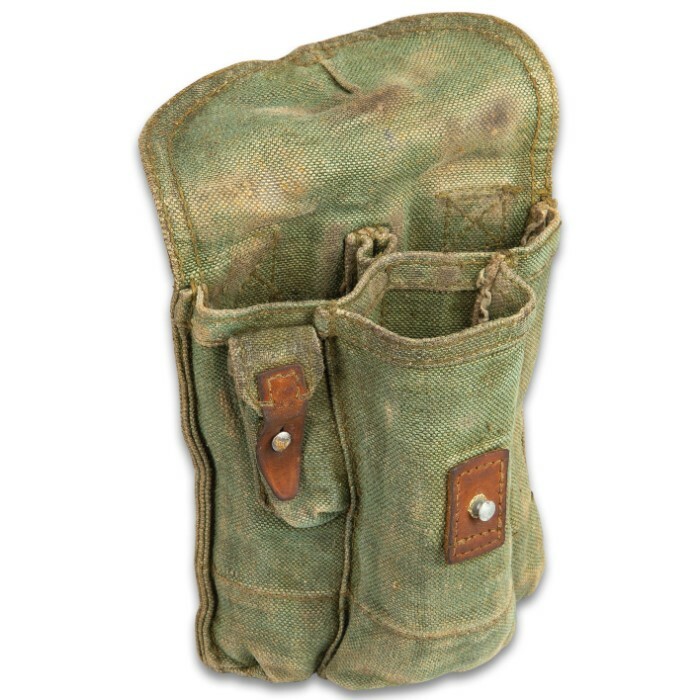 This Three Pocket AK Rifle Magazine Pouch can easily be used for what it was intended for or to conveniently carry other items that you need. The magazine pouch has a tough olive drab canvas construction with a leather strap and metal button stud closure. There are three pockets for AK rifle magazines and a small pocket for incidentals like a cleaning kit for your rifle. 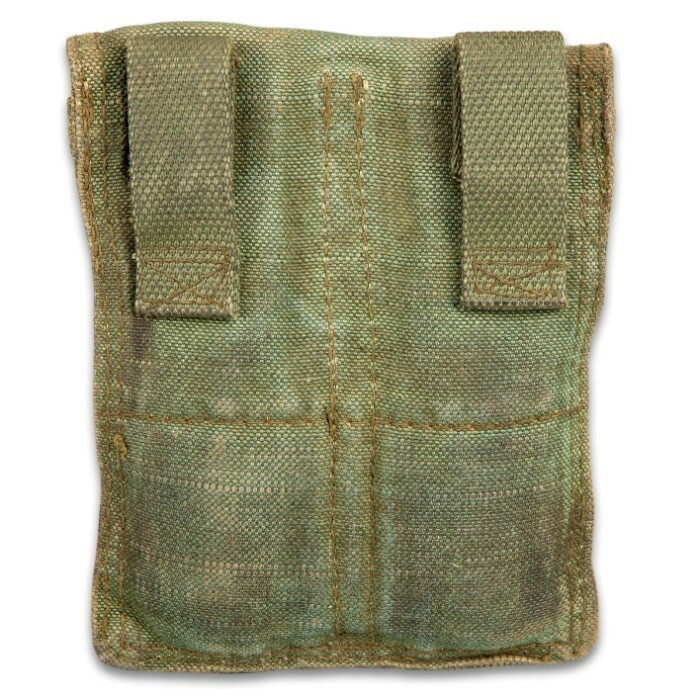 The used military surplus magazine pouch is 9 1/4”x 7 1/4” overall and has two nylon webbing belt loops.